Apple cider vinegar, otherwise known as cider vinegar or ACV, is a type of vinegar made from cider or apple must and has a pale to medium amber color. Apple cider vinegar is made by fermenting apples in water. This is usually done over a 7-8 month period. It may be naturally fermented, or bacteria and yeast may be added to start the fermentation process. Here on this page, we will see some of the very useful health benefits of apple cider vinegar. Apple cider vinegar is more than just a dipping sauce or a salad dressing. In French, the word “vinegar” actually means sour wine. There are not many vitamins or minerals in it, but it does contain a tiny amount of potassium. Quality apple cider vinegar also contains some amino acids and antioxidants. 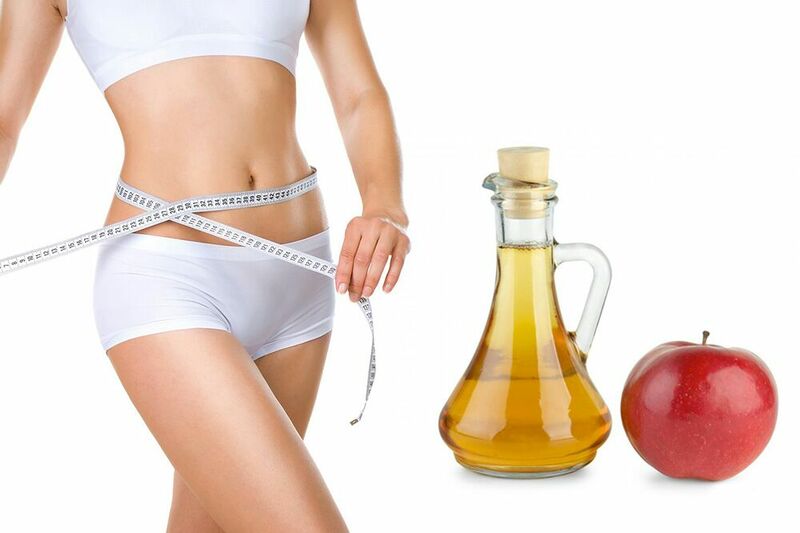 Drinking Apple Cider Vinegar ACV for Weight Loss is an age-old ingredient for healthy living. It is a natural way to lose weight and drinking it can bring a number of health benefits. In a research in 2009, The Bioscience, Biotechnology and Biochemistry journal published a study finding that drinking it for just three months caused significant declines in body weight, abdominal fat, waist circumference, and triglycerides. It can also improve heart health. The vinegar contains malic acid which clears clogged arteries, lymph nodes, and organ tissues. When applied to the skin, it can help eliminate acne, warts, and many other skin blemishes and discolorations. A lot of people add a touch of ACV to their bath water in order to improve the health of their skin. The nutrients, enzymes and organic acids in Apple cider vinegar act as an appetite suppressant by increasing your metabolic rate. It makes you feel fuller and act as an appetite suppressant body’s metabolic rate. This is because apple cider vinegar has slowed down the rate of food absorption while lessening the carbohydrates. Apple cider vinegar is also known to reduce water retention, reduce cholesterol and improve the circulatory system. A teaspoon of raw honey and a glass of cider vinegar will make you take it down it easier. Vinegar can help kill pathogens, including bacteria also an ancient folk remedy, claimed to help with all sorts of health problems. This includes weight loss, lower blood sugar levels and improved symptoms of diabetes. cancer, heart problems, high cholesterol, and weight issues. This vinegar is chock-full of good-for-you-nutrients like iron, calcium, and potassium that may help keep the germs in our bodies under control. Improved digestive health, including help with constipation. Reduced cholesterol levels and lower blood pressure. Use apple cider vinegar to soothe a sore throat. Mix 1/4 cup ACV with 1/4 cup of warm water and gargle every hour. Gives youthful appearance and better condition of the skin. The two substances are a perfect way to get rid of excessive acidity. Drinking apple cider vinegar in water can help to naturally improve your digestion. Apple pectin fiber, found in the mother of raw and unfiltered apple cider vinegar, soothes the entire gastrointestinal tract, helping to prevent stomach cramps, bloating, and gas. The vinegar helps remove stains and kill bacteria in the mouth and gums. Soothe sunburn with apple cider vinegar by massaging into the affected area. Relieve the pain of a sunburn and minimize peeling by applying a washcloth soaked in apple cider vinegar to the area. Relieve arthritis pain. The potassium in cider vinegar may be especially beneficial because it works to prevent calcium build-up in the joints, which is linked to joint stiffness. Take apple cider vinegar to help reduce the inflammation that is associated with arthritis, as well as reducing the pain that comes with it. Use apple cider vinegar on your salad. 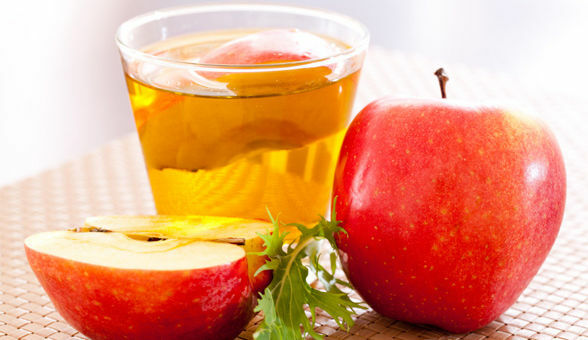 Apple cider vinegar can also be very helpful in reducing gas and bloating. Apple cider vinegar can surprisingly provide an excellent, cheap alternative to many cleaning products. It absorbs odors and has antibacterial properties. Use as a hair rinse to fight dandruff and add body and shine. Relieves allergies and asthma symptoms. Use as a facial cleanser to boost the pH of your skin. Get rid of cat urine smell – add it to the laundry when you wash the clothing, blanket, etc. Use as a detox to cleanse the kidneys. Drink or supplement to prevent flu. Balances the body’s pH level. Reduces blood glucose level in diabetics. Clean Your House: Apple cider vinegar can be mixed with water and used to clean the bathroom, the kitchen, countertops and the floors. If you mix it with baking soda you can even use it to help clean your pipes. Whiten Teeth: You can use apple cider vinegar to help remove stains from your teeth. You can use apple cider vinegar as a hair wash or conditioner. Simply add two to three tablespoons to eight ounces of water and mix it well.